A beautiful display of monochromatic colors with a pinch of red give this arrangement that 'WOW' factor! It's full of Cymbidium Orchids, Roses, Hydrangea, Lady's Mantel, Seeded Eucalyptus, Lycopodium and fresh Mini Green Apples. These are flowers for those with the need to impress! This is a lovely way to toast a momentous event or simply add that touch or 'WOW' to your home or office! 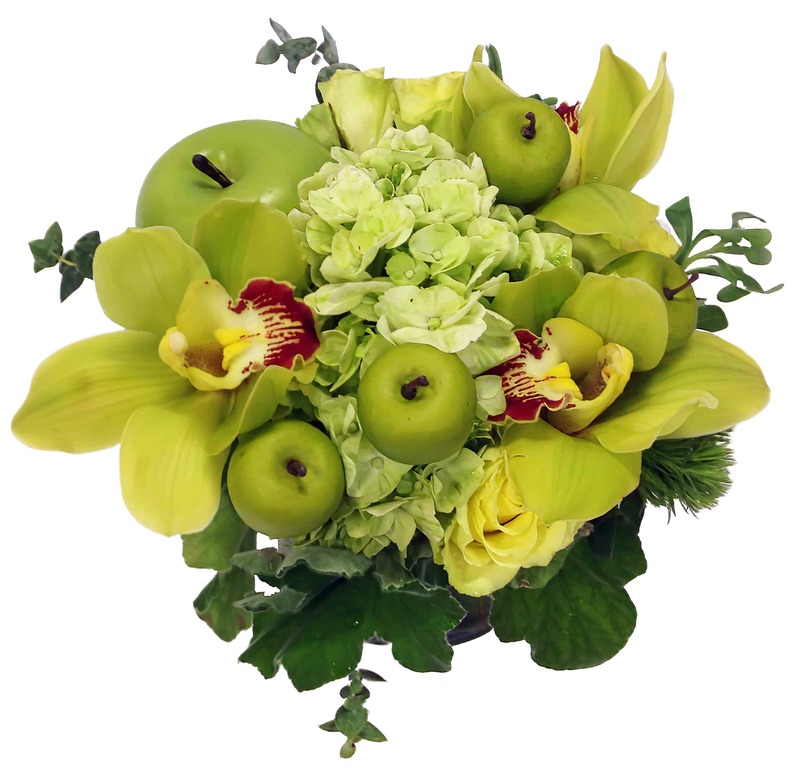 Design Exclusive to Rossi & Rovetti Flowers - Limited Delivery to SF/Bay Area.